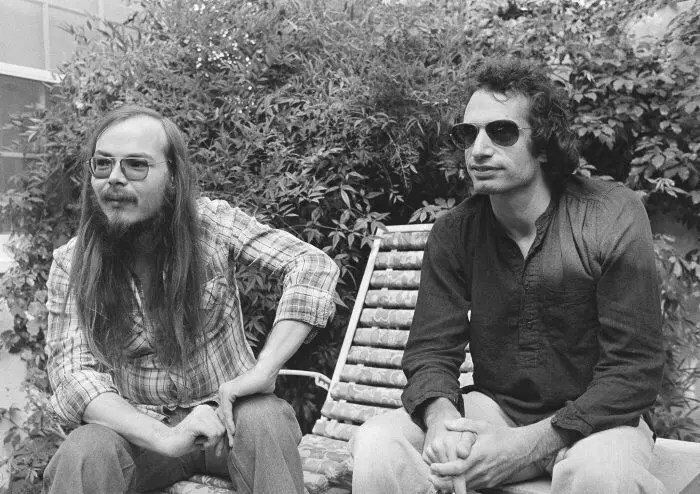 Having cultivated a reputation as stubborn yet masterful songwriters, Steely Dan possessed a certain magnetism which helped hugely when it came to assembling a dream-team of jazz, r&b and rock virtuosos for their 1977 masterpiece, Aja. Included on this list was legendary saxophonist and Miles Davis alumni Wayne Shorter (who rips through a solo on the album’s title track), drummer Bernard Perdie (responsible for the groove of “Home At Last”) and Steve Gadd, amongst many others. 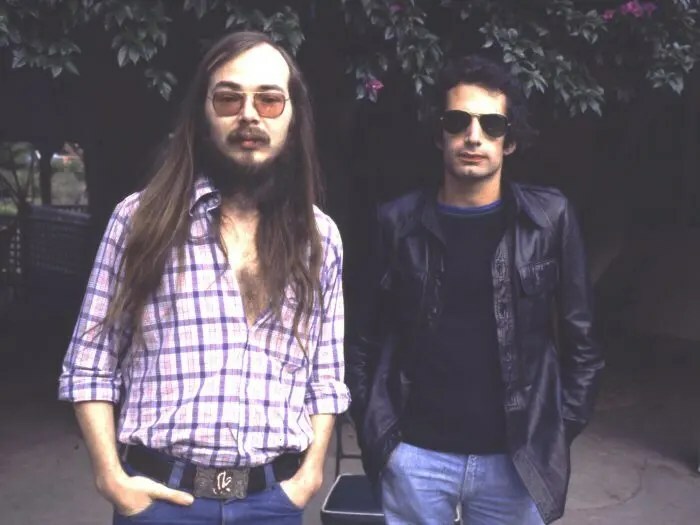 Far from assured by the proven talents of these musicians however, Walter Becker and Donald Fagen took their infamous hairsplitting scrutiny to new and extreme levels, famously sifting through dozens of separate recordings of the same guitar solo for “Peg”, before landing on Jay Graydon’s pitch-perfect performance. Considering the somewhat pressurised atmosphere surrounding the album’s recording sessions, it’s easy to see how this ethos carried over into its impossibly pristine sound quality. A truly lush and all encompassing audio experience, each instrument boasts a rich glossy veneer, penetrating and tessellating with an almost surgical precision. Far from clinical however, this exceptional clarity maintains the minuscule, if calculated, nuances of each musician’s contribution, and ultimately serves as testament to their tight and disciplined performances. Beneath this crystalline surface lay a subversive element of nihilism, which seemingly undermined the pair’s studio slickness and outwardly commercial ambitions. As New-Yorkers at heart, this was perhaps fueled by their contempt for what they perceived as the utterly ridiculous, sun-soaked nature of LA living. Fagen later commented: “LA was certainly a lot of laughs. Neither of us really liked it, because we just weren’t LA-type people. We called it Planet Stupid. Nobody seemed to understand us there.” It’s not hard to see Fagen’s slightly dispassionate lyrics as an effort to keep this culture at arm’s length; to maintain the romantic notion of an outsider looking in – all the more effective when paired with subversive cool and radio-friendliness of their music. Released in 1977, the year that both the lighting force of punk and the carefree abandon of disco were enjoying cultural hegemony, Aja found itself strangely out of time and place; an irregular jigsaw piece in an often polemic commercial environment. It was around this time that predominantly white rock fans where denouncing the perceived superficiality of repetitive black dance music. But Steely Dan had also been the subject of their ire. 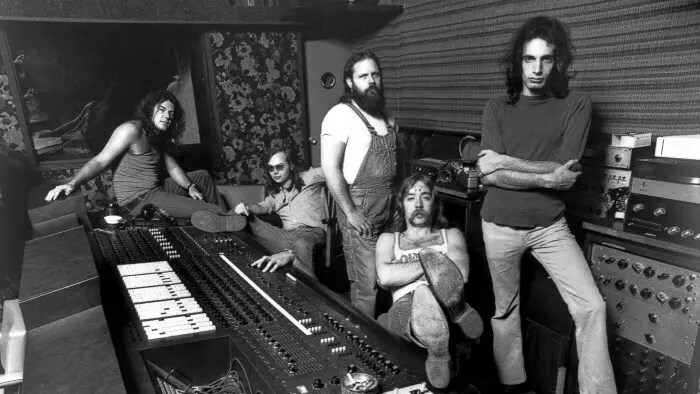 As Michael Duffy’s review in The Rolling Stone noted: “Aja will continue to fuel the argument by rock purists that Steely Dan’s music is soulless, and by its calculated nature antithetical to what rock should be.” Far from immune to this criticism, Becker and Fagen reportedly remixed the album around 13 times in the months prior to its release. But the pair were notorious for holding the hard rock establishment in disdain, denouncing stadium-sized bands such as Led Zeppelin and Bad Company, and with Aja they expressed this with their overwhelming reverence for the construction and arrangement of old jazz records. And while they wouldn’t have admitted it at the time, the pair also deeply admired the pinpoint sonic precision and muscular groove of disco. Listening to Aja, it’s hard not to see the album’s musical complexity and shimmering clarity as a riposte to the conservative rock sensibility. Becker and Fagen’s deeply intuitive use of chordal changes is central to the record’s shape-shifting character, as the pair eschew pleasantly resolved sequences and modulate to entirely new keys between sections. This imbues the album’s songs with a certain uneasiness which rubs against the polished surface of its smooth instrumentation and production – even music theory experts were left puzzled as to the direction a chord sequence was taking or why a specific harmony so strangely worked. Rhythmically the pair had also dove deeper into the locked grooves of American r&b and soul. Their hiring of musicians who had worked with the likes of James Brown, Quincy Jones and Aretha Franklin provide some insight into their desires to maintain pop music’s infectious percussive drive. It was in-fact the most rhythmically focused songs, such as “Peg”, “Josie” and “I Got The News”, which proved most time-consuming in the recording process, as Becker and Fagen, of course, pursued the perfect backbeat, and the perfect sound, with an almost maniacal attention to detail. Despite the numerous advances in recording technology of the last forty years, Aja still stands as one of the finest commercial recordings ever made – a holy grail for audiophile’s around the world. Its inherent smoothness coupled with its remarkable intricacy transcends the boundaries of taste and trends, shining as an example of uncompromising creative ambition, which nevertheless remains thoroughly grounded in the principles of pleasure. Aja is truly Steely Dan’s monument to the joy of listening.